The Maruti Suzuki Ertiga is available in 10 variants and 5 colours. Here are more Maruti Suzuki Ertiga details such as prices, specifications and mileage. You can also check out the Maruti Suzuki Ertiga on-road price and EMI. Our detailed Maruti Suzuki Ertiga comparison further helps you compare the MUV with its rivals. DriveSpark brings you every Maruti Suzuki Ertiga information you would ever need. The new Maruti Ertiga comes with a completely refreshed design. The MPV is now longer, wider and taller than the previous generation model. The front of the new Ertiga MPV features projector headlamps with LED DRLs, newly designed front grille with chrome inserts, fog lamps and a sporty new front bumper. The side profile of the new Ertiga comes sharp character lines along the handlebars, 15-inch alloy wheels and a floating roofline, similar to that seen on the Swift. The rear also features a fresh design, with updates to the bumper. Other design updates include the new vertically-stacked wrap-around taillight set-up. Overall the new Maruti Ertiga feels more premium and upmarket than the previous-generation model. The new Maruti Ertiga comes with two engine options: one petrol and one diesel. Both engine options are further mated to Maruti`s SHVS (Smart Hybrid) technology. 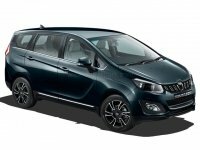 Maruti has introduced their new 1.5-litre K-15 Series petrol unit on the new-gen Ertiga MPV. The new petrol engine churns out 105bhp and 138Nm of torque. It comes mated to a five-speed manual gearbox or an optional four-speed torque-converter automatic. The new Ertiga is also available in a 1.3-litre DDiS diesel engine. This is the same as seen on all other Maruti products on offer in India. 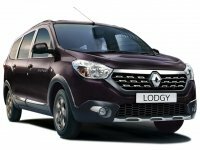 The diesel unit churns out 90bhp and 200Nm of torque and is mated to a standard five-speed manual gearbox, without the automatic transmission option. The two engines offer excellent performance, enhanced due to the presence of the the SHVS hybrid technology. The mild-hybrid tech also helps improve the efficiency of the engines. The new Maruti Ertiga comes with a total fuel tank capacity of 45-litres. Along with the SHVS technology, Maruti claims an ARAI rated mileage figures of 19.34km/l for the petrol manual; 18.64km/l for the petrol automatic and 25.47km/l for the diesel manual variants. The new Maruti Ertiga comes with a host of additional features and equipment compared to the previous-generation model. The new Maruti Ertiga comes with a new 6.8-inch touchscreen infotainment system with Apple CarPlay and Android Auto, dual-tone cabin with wood inserts, roof-mounted AC vents for the second and third-row passengers and steering-mounted controls to name a few. In terms of safety equipment, the new Maruti Ertiga comes with dual airbags, ABS, reverse parking camera, seat-belt reminder and ISOFIX child seat mounts. The new Maruti Ertiga 2018 has been one of the most-awaited MPVs in the Indian market. The next-gen Ertiga comes with a completely refreshed design and hosts a number of additional features and equipment, not seen on the older model. The Ertiga MPV is also priced highly competitively and is definitely one of the most-popular MPVs in the market. What is the boot capacity of the new Maruti Ertiga? The new Maruti Ertiga comes with a boot capacity of 209 litres with all three-rows upright. This space can further be extended to 550 and 803 litres with the third and second row folded, respectively. What are the colours available on the new Maruti Ertiga? The new Maruti Ertiga is available in a range of five colours: Pearl Metallic Auburn Red, Metallic Magma Grey, Pearl Metallic Oxford Blue, Pearl Arctic White and Metallic Silky Silver.